FPE recognizes excellence in academics, leadership, and service with a range of undergraduate and graduate student awards, which are presented at the annual Engineering Honors and Awards Ceremony. This award is presented to the undergraduate that has demonstrated leadership and/or service to the Clark School of Engineering as evidenced by participation in activities that impact students in all engineering majors. This award goes to the undergradute who has shown outstanding leadership in the Clark School through participation in activities that impact students in all engineering majors. demonstrated outstanding dedication and service to the Clark School. This award goes to the undergraduate who has demonstrated significant involvement in international engineering activities through leadership or service. The undergraduate who has exhibited outstanding service to the Clark School as evidenced by participation in activities that impact students in all engineering majors. 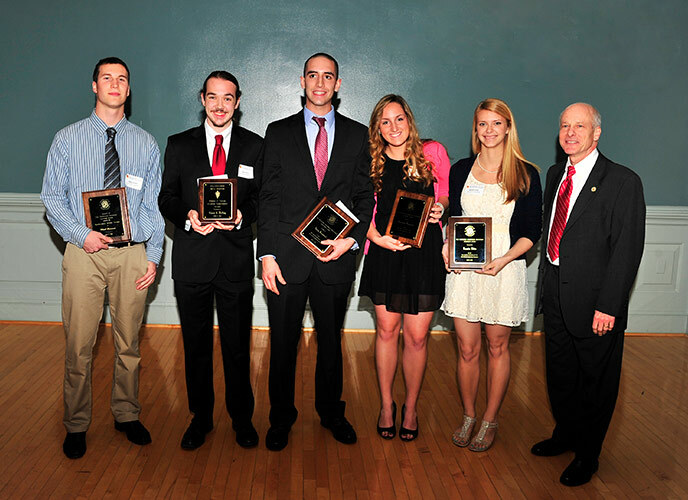 Students nominated for the Dean's Award can be considered for the leadership and service awards.